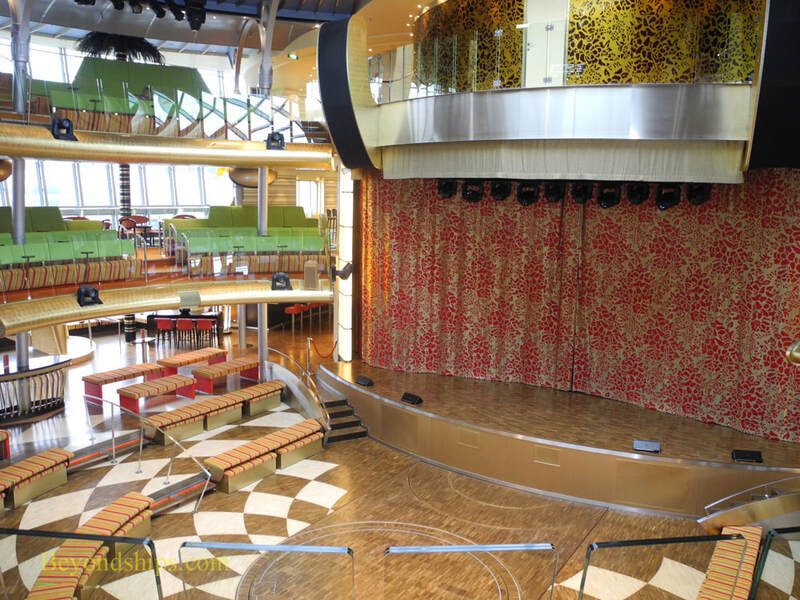 With its giant video screen extending through two decks, The Atrium is a multi-use major entertainment venue. 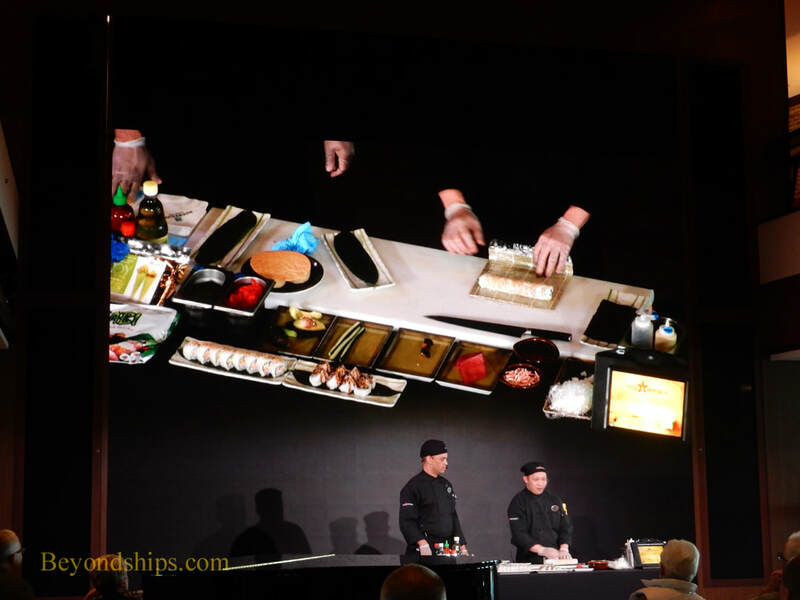 It is used for game shows, movies, food demonstrations, lectures and live music. 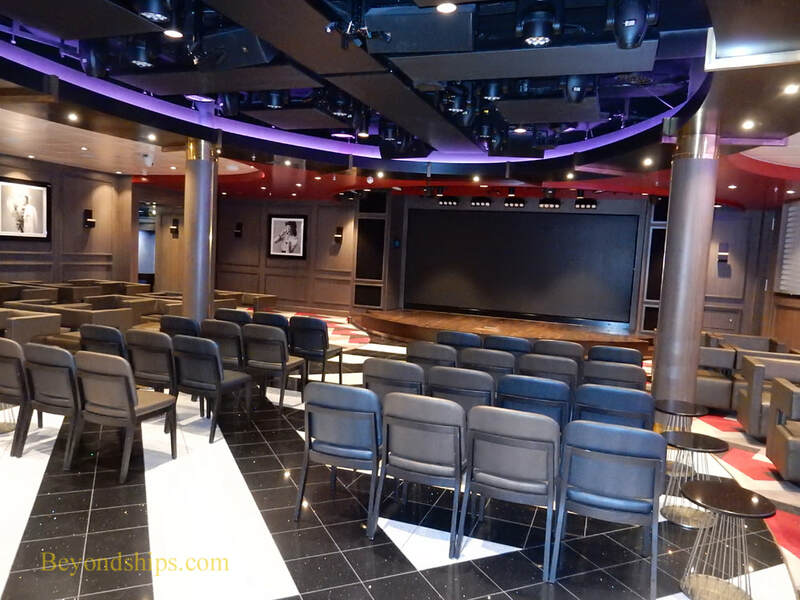 The Theater is the ship's largest entertainment venue. 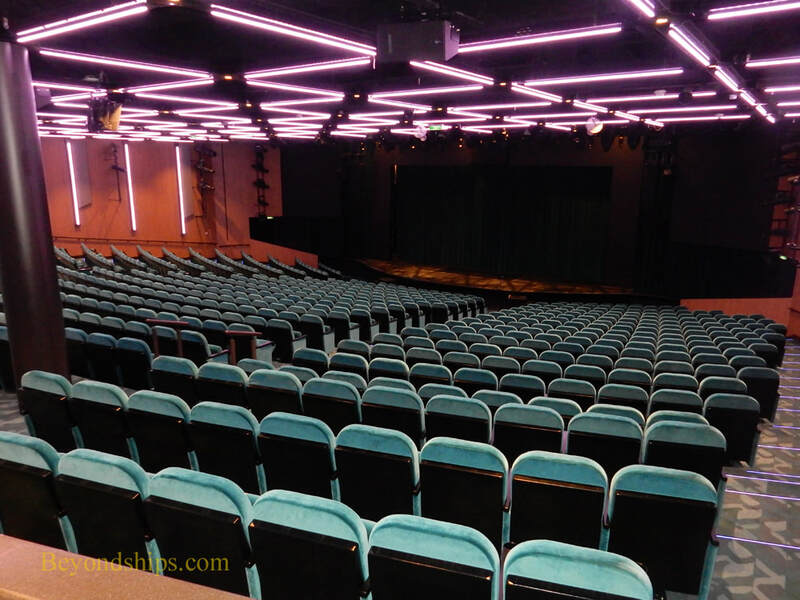 It features two production shows: "Jersey Boys" is a full version of the Broadway musical about the Four Seasons vocal group; and "Havana," a tribute to the Cuban capital in the days before Castro. 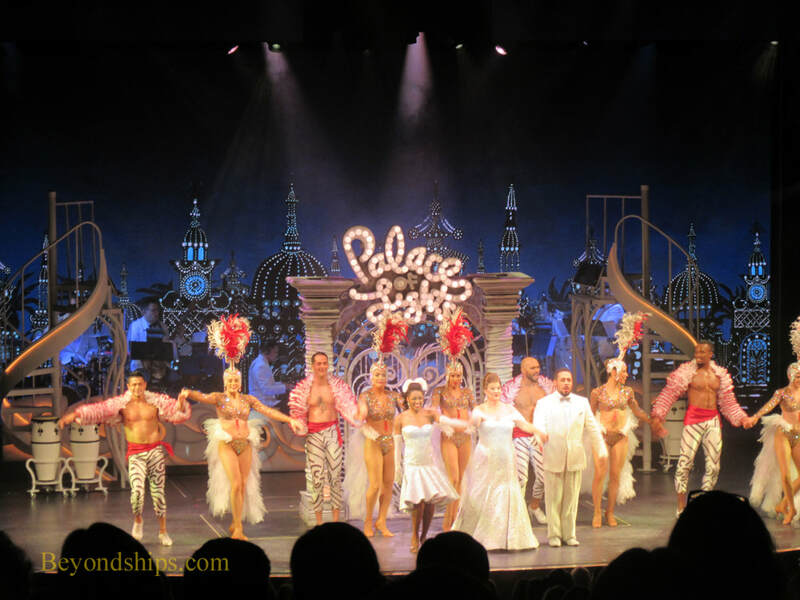 The Theater is also used for shows by visiting performers and for activities such as Bingo. 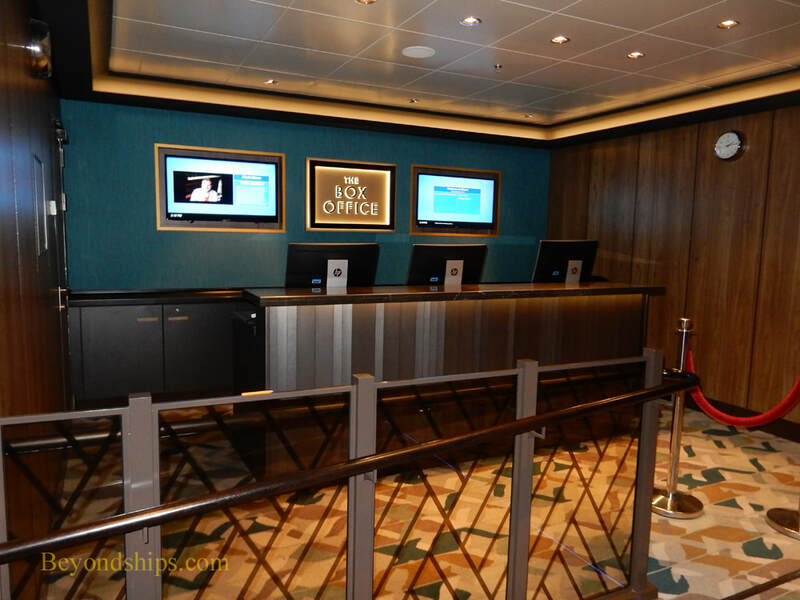 At the entrance to the theater is the Box Office where guests can make reservations not just for the theater shows but for shows at Escape's other entertainment venues. 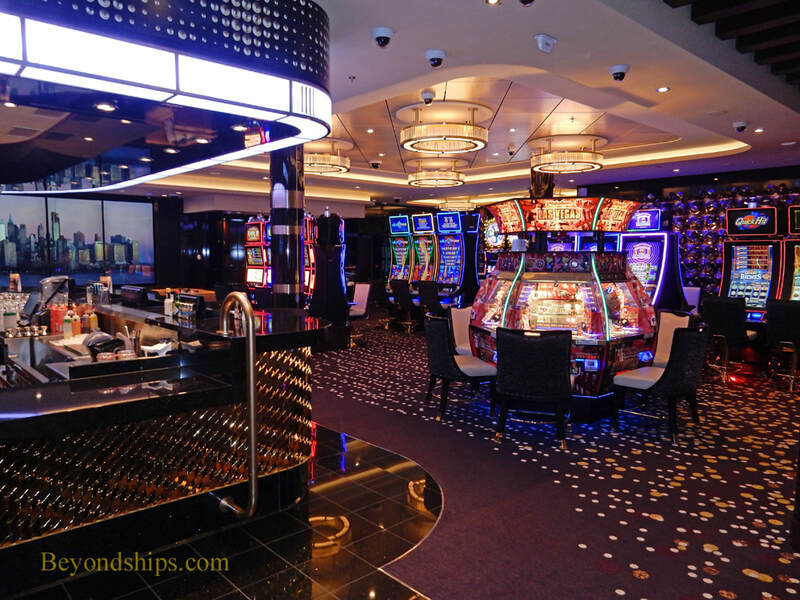 Reservations can also be made on stateroom televisions and online before the cruise. 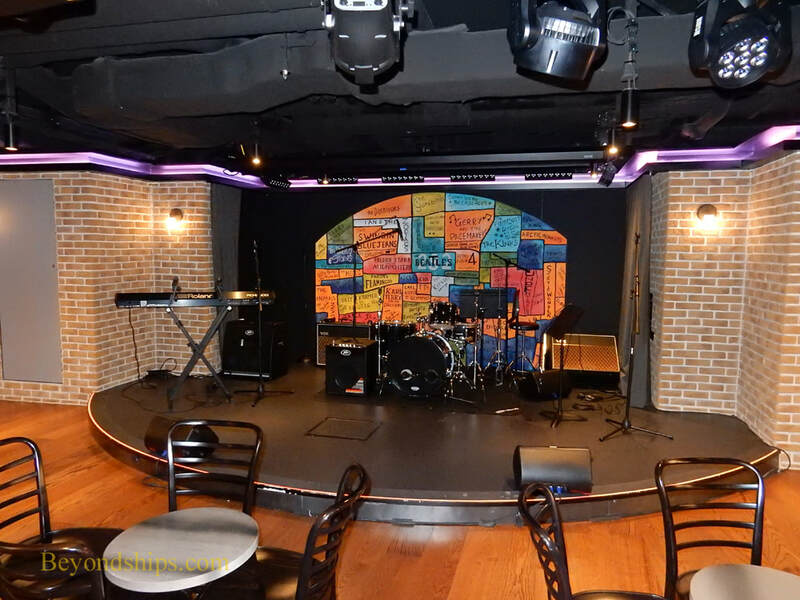 The Cavern Club features to The Beatles and 60s British rock. 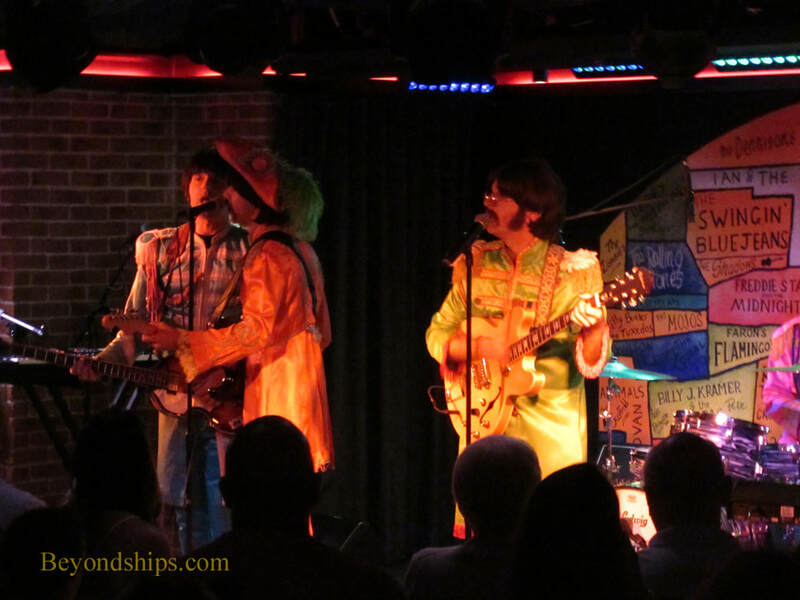 It is named after the Liverpool club where the Beatles performed numerous times early on their way to worldwide fame. 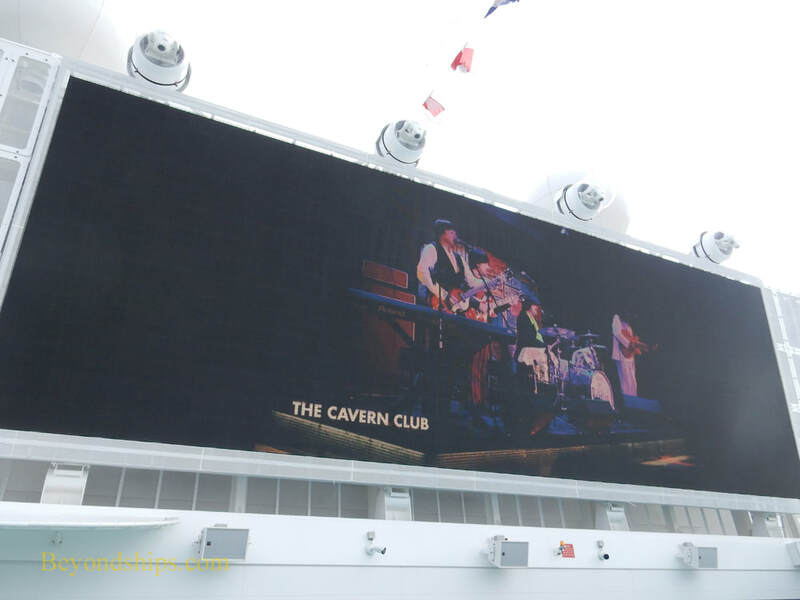 This seagoing version has a costumed Beatles cover band, which often plays to standing room only crowds. 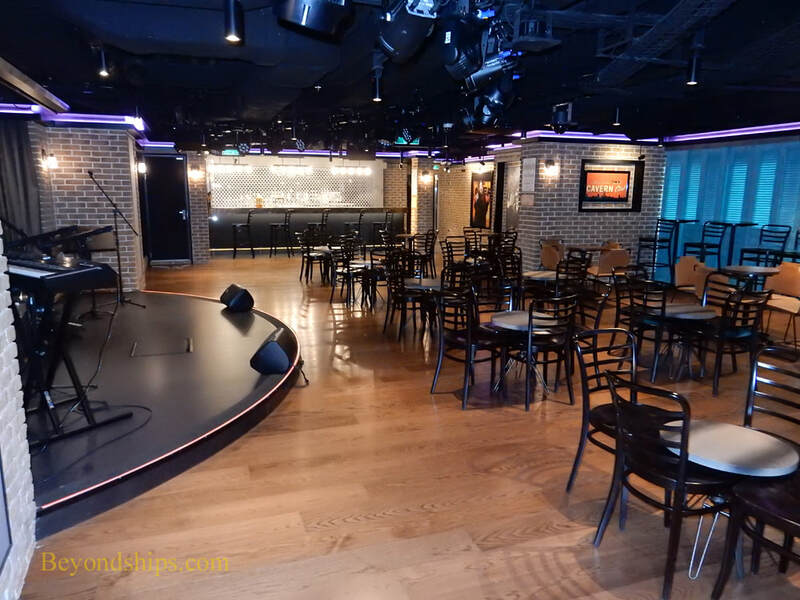 The Social is Bliss' comedy club. 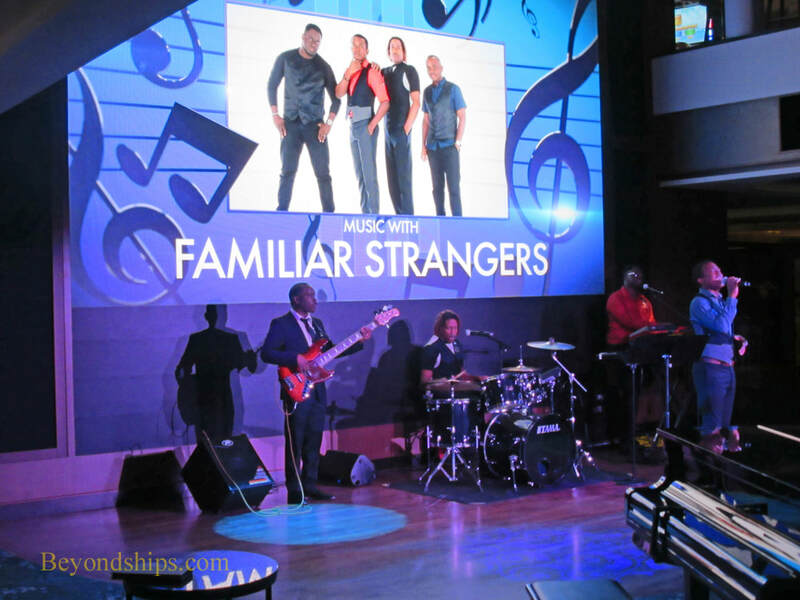 In addition to stand-up comedy, it is used for art auctions and for music with a DJ. 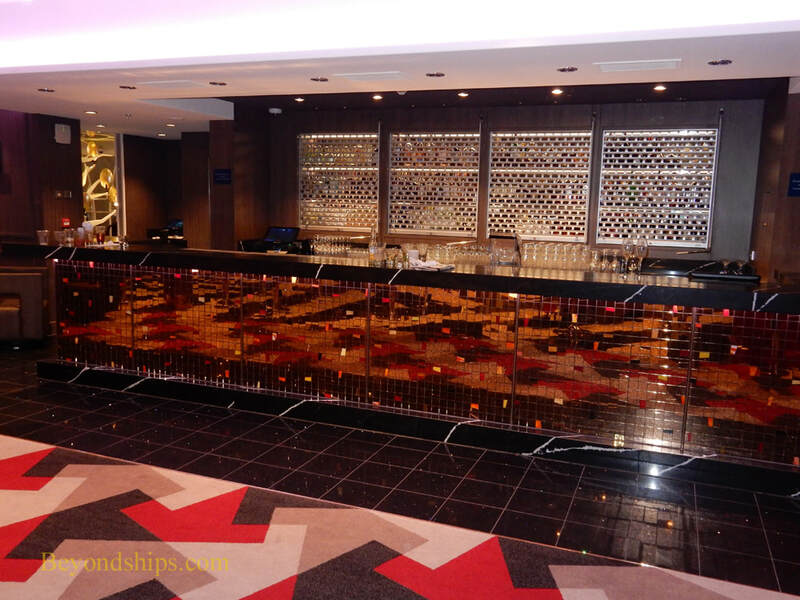 Bliss has a giant LED screen overlooking the main pool area, which can show movies, videos and other shows (right). 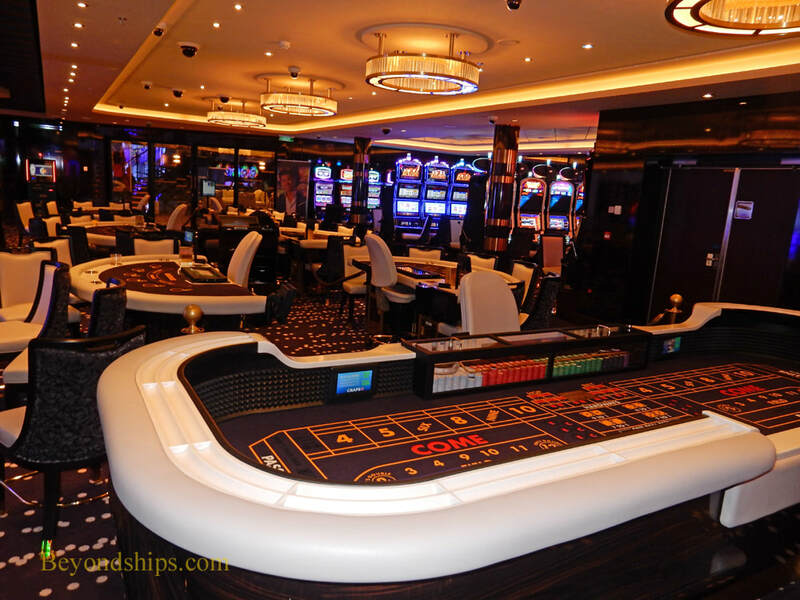 ​Bliss' Casino is different than the casinos on earlier Breakaway class ships. 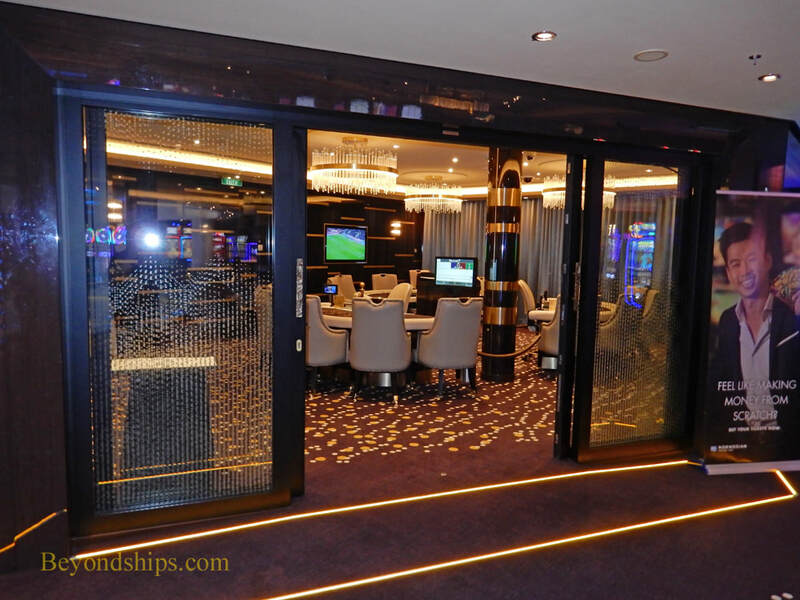 It still has slot machines and gaming tables but in addition glass walls have been built to separate the non-smoking and smoking sections of the casino. It also has a VIP section for high rollers.